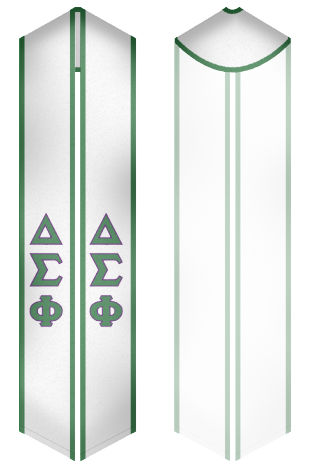 Delta Sigma Phi was established in 1899 at the City College of New York. The fraternity has the honor of being a charter member of the North American Inter fraternity Conference. The fraternity has 91 active chapters and has 5,500 collegiate and 115,000 lifetime members. The fraternity conducts several member based workshops that enhance leadership and promotes brotherhood. 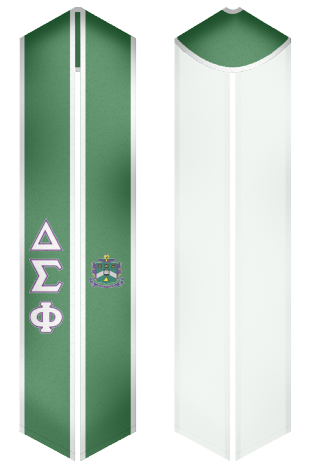 We provide high quality custom made fraternity sashes and stoles that will make you stand out among your peers. 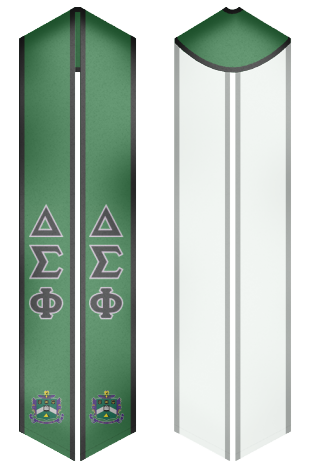 Make sure everyone know you are part of the brotherhood and order your sash or stole by choosing from our wide range of pre designed sashes or use our online design tool and create a personalized sash to mark this special occasion.